We've visited a few new circuits over the past seasons, and the latter half of the 2012 calendar features many of them. However, this weekend sees a brand new location join the fold, with a shiny, fresh built track to play host to all the action. Formula One returns to the US after being absent for five years, with an exciting new venue at the Circuit of the Americas. Almost everything that could have been thrown at Red Bull, and more specifically Sebastian Vettel, was done so at the last race in Abu Dhabi, but he batted the problems away and managed to limit the damage to his championship challenge. The battle between he and Fernando Alonso is still on, with two races to go and ten points in it. Meanwhile, there are other races going on than just the inaugural COTA action, as drivers continue to hope for their continued presence in F1 in 2013. Support racing for this event includes Historic Grand Prix, Ferrari Challenge and Pirelli GT3 Cup Trophy USA West. We're looking at more sunny weather in Austin this coming weekend, with not a cloud forecast in the sky for all of those three important days. The temperatures are not as high as I was expecting, and should be manageable for the drivers, with the track temperature probably the key ingredient for the brand new tarmac. DRS has proven to be useful at tracks where overtaking can be lacking, and it has equally been a bit over the top at those where drivers manage to find their own way through the field and create their own action. For the Circuit of the Americas, everything is an unknown, and it's impossible to say how the DRS will fare. The FIA have decided to locate the single DRS zone on the big long back straight between turns 11 and 12, with activation coming halfway down the long straight. We've watched the purpose built Circuit of the Americas being built since its inception, with Red Bull trying a lap in the dust, and Lotus waiting until there was at least some tarmac down before visiting. All the pictures and track maps we have seen so far show some nice elevation changes that have been sadly missing from other recent entrants to the calendar. 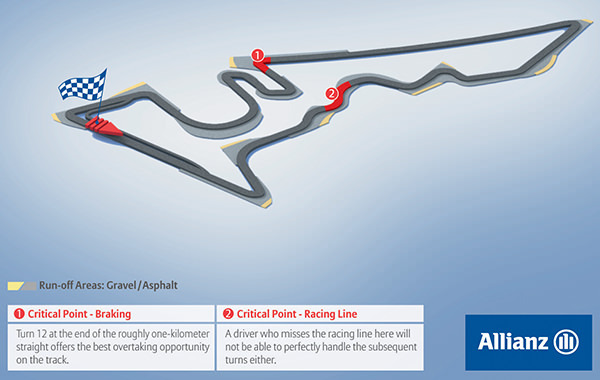 The race will be run in an anti-clockwise direction, with the first corner presenting the biggest challenge: uphill with a blind apex to the first corner, taken in first gear. There are a few sections of the circuit which pay homage to existing tracks, including the Senna S's in the upcoming Brazil, Istanbul's tricky Turn 8 and the stadium section of Hockenheim. 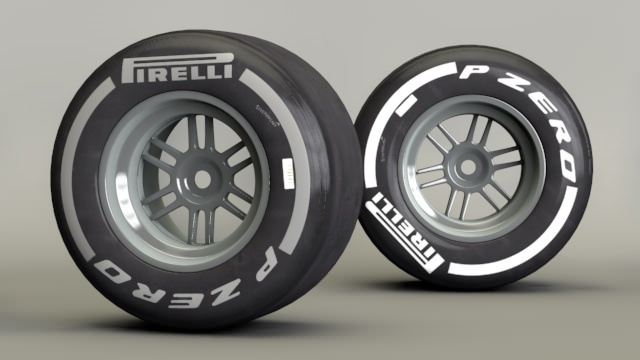 Pirelli are offering the teams an extra set of tyres for Friday practice - to both increase the action on what will inevitably be a super green track, and to give them a bit of a head start around the unknown twists and turns. The tyre manufacturers have completed extensive simulation work ahead of the race weekend, but even with that there's still a lot of data to be gathered in the coming days. We’ve chosen the hard and the medium compounds as we think it will be quite a demanding track, based on the asphalt samples and simulation data we have gathered. Naturally we’ve leaned towards a slightly more conservative choice in order to cover every possibility at a brand new circuit. The FIA stewarding process was changed last year to include a former F1 driver to give added insight. These are the stewards overseeing this weekend's action.